5.1 Surround Sound mix & a new stereo mix (CD) from the original studio masters, by Steven Wilson, fully approved by Robert Fripp. 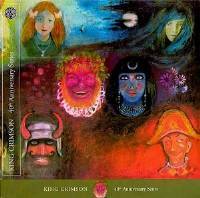 Continuing with the 40th Anniversary Series, this version of Lizard contains an audio CD, with 5.1 Surround Sound mix from the original studio masters, by Steven Wilson, fully approved by Robert Fripp, as well as three extra tracks and a new stereo album mix by Robert Fripp and Steven Wilson. Also included is a DVD-A featuring a 5.1 DTS Mix and a High Resolution Stereo Mix (24bit). Compatible with all DVD and DVD Rom Players, DVD-A players can additionally access a 5.1 Lossless Audio Mix and Losless Stereo Mix. Lizard - Album DV-A Lossless Surround Sound, DTS 5.1 Surround Sound. 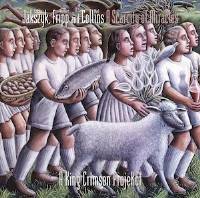 LIZARD can be seen as the third album in the trilogy that makes up Crimson's first phase, which began with IN THE COURT OF THE CRIMSON KING. The musical and lyrical concepts are more complex than on the first two albums, the arrangements more elaborate. Pete Sinfield's lyrics, already full of surreal mystical imagery, changed by turns more inaccessible and slightly psychedelic. Horns play a much larger role on LIZARD, the horn section injecting some punch into the production, and Mel Collins' flute and sax emerging as an important solo voice. Things turn slightly harsher on tracks like "Indoor Games," a catalogue of people's private indiscretions, and "Happy Family" an allegory obviously about the then-current breakup of the Beatles. 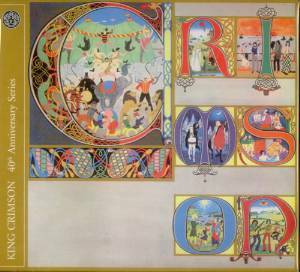 As always, there's a beautiful ballad ("Lady of the Dancing Water," singer Gordon Haskell's finest moment) included amidst all the uproar. 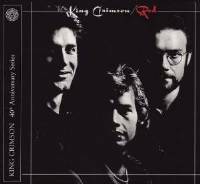 Crimson's peers Yes are even represented, as Jon Anderson makes a guest vocal appearance on the title cut, a throwback to the semi-mythical lyric approach of KC's debut. From Grant of Castlegar, British Columbia on 3/8/2014 . From Edward of Brooklyn, New York on 6/6/2012 . "Modern" sound is a compromis. From Alexander of Novovoronezh, Russian Federation on 7/17/2010 . DTS 5.1 does not work in the USA version! From Alfred Bello of Miami, Florida on 1/30/2010 . From Daniel Gibson of Atlantic Highlands, New Jersey on 1/11/2010 .